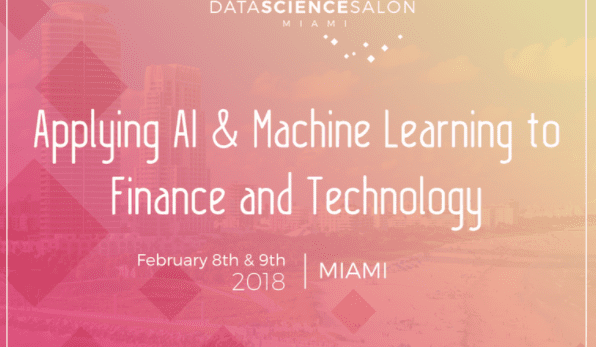 The Data Science Salon is coming to Miami on February 8 & 9th. Join us at this one of a kind conference which brings together specialists in finance and data science fields face-to-face to educate each other, illuminate best practices, and innovate new solutions in a casual atmosphere. Meet and greet top executives, senior data scientists, developers, and business development professionals alike. We are giving away 5 tickets, the first 5 people to reply to this email get to attend for FREE! For others use code “FTLDataSci” to get 20%. Hope to see all of you at the event.